In our February edition of Where to Eat, we offered 10 restaurants in Dallas where you could take someone out for a date on the cheap. But after some reflection, we get that it might make you sound bad, like you're some kind of penny-pincher. We didn't meant cheap. We were thinking about your financial security, about making you look swell without going broke, and having your date think you were enterprising and resourceful. 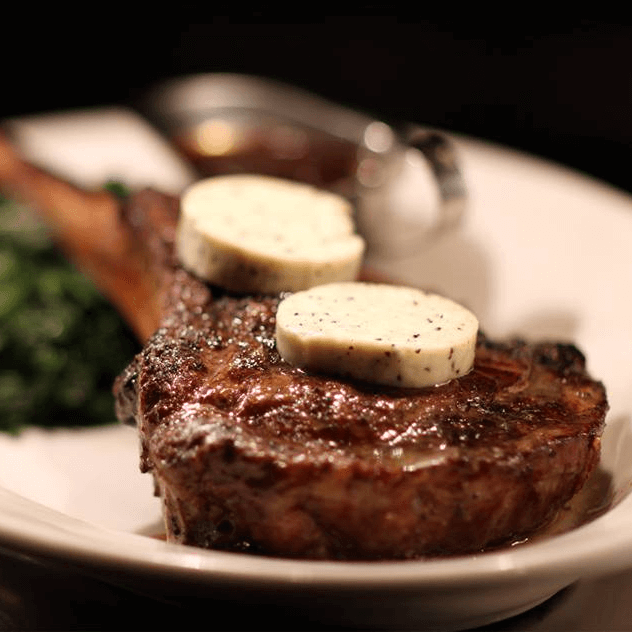 Steakhouse featuring Dallas' most charming host is where you go to rub elbows with the upper crust. The menu fuses a classic steakhouse sensibility with the most richy-rich of ingredients. Is there caviar? Darling, of course! Starters alone run from $14 to $28, and if it's the priciest entrée you want, there's a 10-ounce Wagyu-Angus filet for $75. If you want to take the more "restrained" route, there's a buffalo tenderloin for $49 or a have-it-all entrée called the "Air, Land & Sea" with quail, buffalo, prawn and scallop in a port wine foie gras sauce — a bargain at $56. Others come and go, but this elegant restaurant at the historic Adolphus hotel in downtown remains the queen of fine dining in Dallas. Chandeliers, gold leaf and Rococo-style murals telegraph an atmosphere that says, "This feels like another century and is undoubtedly going to cost an arm and leg." That impression is furthered by the fact that it offers a prix fixe menu only; but the prices aren't prohibitive. There's a three-course option for $80, a five-course for $110 or an eight-course for $150 per person. Or bypass that entirely and go for their tasting of caviars, priced at — wait for it — $475. ​Design District restaurant has become the de facto special-occasion destination for the modern-day foodie, ready to oooh and aaah at chef Matt McCallister, bent over while plating his food with a concentration that proclaims "artist at work." When the food arrives at your table, it is a bit like art, with lots of white space on the plate, unlike plates at more pedestrian restaurants that are piled high with food. The menu is posted online and changes daily; you're sure to discover something you've never heard of, such as aerated raclette (it's cheese) or calamondin sambal (lime sauce). If you don't want to get caught not knowing what to order, there's a chef's tasting menu ($95 for food, $145 with wine). While Henderson Avenue spot has always seemed more expensive than you expected, it now has Graham Dodds. You can see his touches in Dodd-esque dishes such as skate with artichokes and grapes, lamb shank on grits, or Wagyu oxtail with crispy gnocchi and arugula pesto. (What a waste of arugula — but we're talking excess here.) Make a statement with ​frisee aux lardon with confit pork jowl or 44 Farms chili with jalapeño cornbread and crème fraiche. Desserts include a Dude, Sweet Chocolate and Texas whiskey tasting, but end instead on Texas cheeses with preserves and raw honey. Restaurant at the Highlands Dallas hotel is where chef John Tesar does steak real good. If your concept of high-end dining can be defined by the number of meat options on the menu, then you are at the right place. There's "new-school" steak, "old-school" steak and "exotic" steak with meat that's been aged for up to 240 days. There's a bacon tasting, a ham tasting and two kinds of tartare. There are also awesome salads, but what are you thinking? Consider oysters on the half-shell and sides that include a rendition of avocado fries so rich, you'll have trouble finishing the order. If you're trying to show you care with a dollar sign, you won't dare "cheap out" and go to Nick & Sam's Grille. Instead, you'll hit the steakhouse on Maple Avenue, so luxe, they give away caviar for free in the bar. The online menu doesn't list prices; if you call and ask, they'll take your number, promise the manager will get back to you, and then you'll never hear from them again. But, hey, if you have to ask, you don't belong here, amiright? 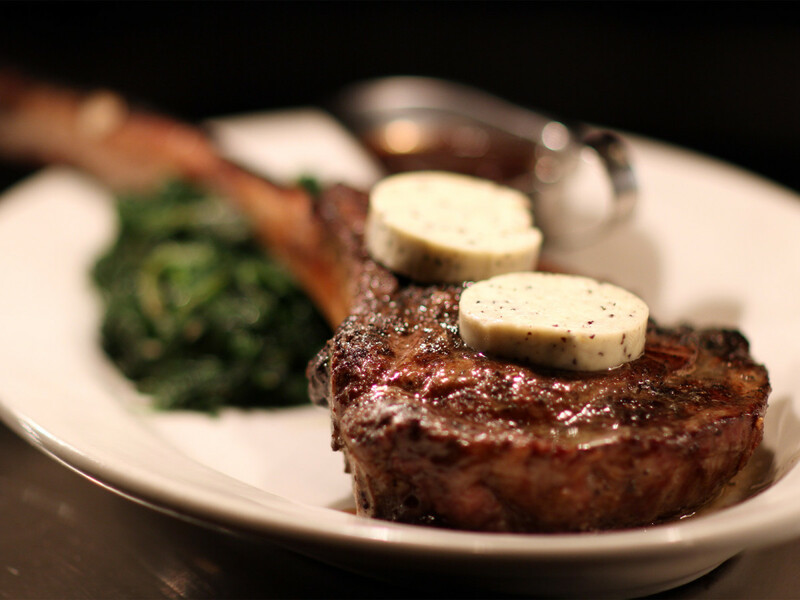 We can't say for sure which is the most obnoxiously expensive dish; the dry-aged "long bone" cowboy steak with black truffle butter? Or the fried lobster with dipping sauces? It all sounds fabulously spendy, and you pay extra for sides such as duck fat hash browns. 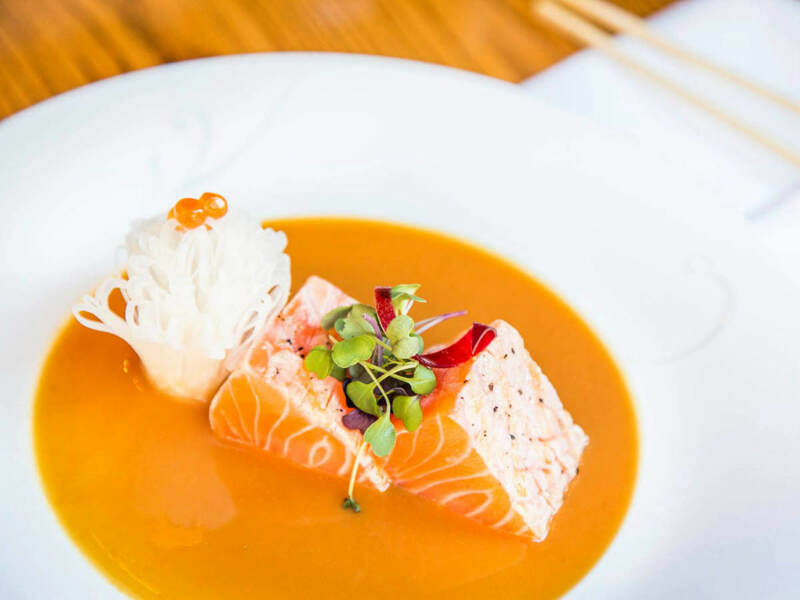 Nobu doesn't make a lot of noise, but its presence in Dallas puts us on a super-glitzy list of Nobu cities that includes Las Vegas, London, Monte Carlo and Dubai. And don't forget, Nobu's splashy opening party in 2005 was attended by Robert DeNiro; dropping that in your casual dinner conversation will make you sound plugged-in. The atmosphere feels very James Bond, and international jet-setters know that nothing says good sushi like Nobu's roll filled with lobster for a cool $29. The surprises on the menu are the dozen desserts, with selections such as milk-chocolate miso brûlée with vanilla ice cream, candied pecans and cappuccino foam. Forget the gauche steakhouse: The Mansion is where you go when you want to drop a bundle tastefully. In addition to à la carte items like beef tenderloin with fries cooked in duck fat ($60), chef Bruno Davaillon (who is French, ooh la la) offers two prix fixe meal options, one with black truffle ($150), one without ($115). Whatever you order, be sure to get the "enhancements": Perigord black truffle shavings for $35 or golden Osetra caviar $195 per ounce. "Chef recommends select dishes," the menu advises, but play it large and get that truffle shaved over everything: crab soup, Wagyu short rib, even the lemon creme brûlée. In one's 2001: A Space Odyssey-like journey toward the heights of excess, Tei An represents the pinnacle, a place where all excess falls away and minimalism prevails. The signature dish is soba noodles, made by hand — an offering that puts this One Arts Plaza jewel in a very small league of restaurants across the country doing such a thing. 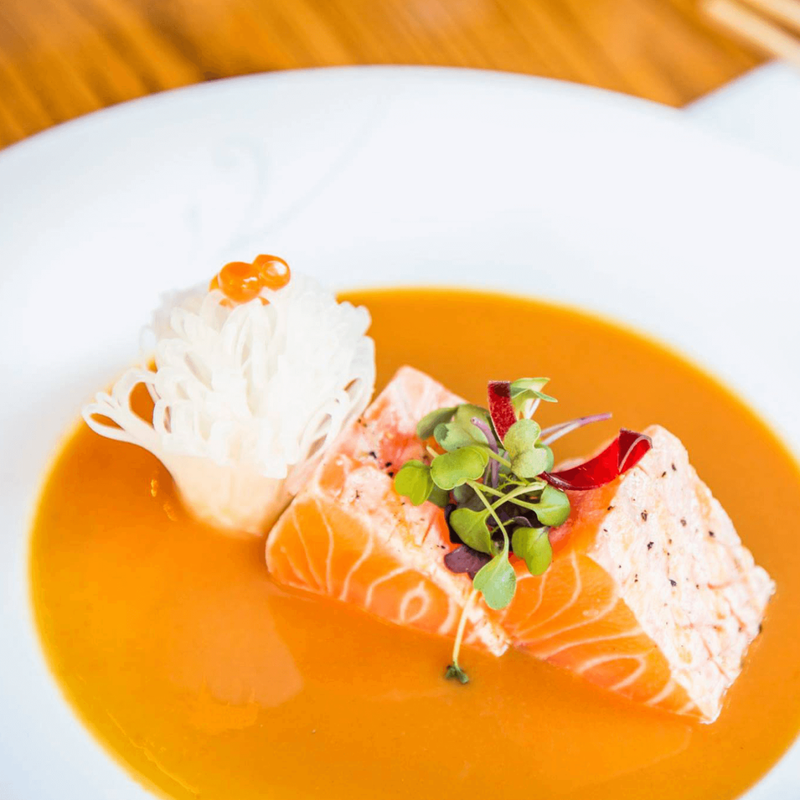 But for the most magnificent experience, indulge in a multicourse omakase tasting by chef Teiichi Sakurai, whose skill with a knife transforms raw fish into edible works of art.